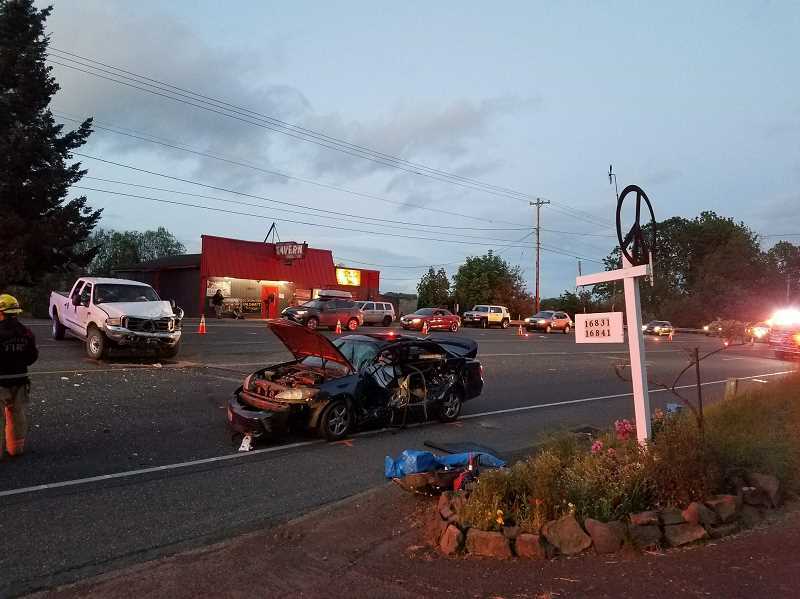 A Washington woman was killed in a motor vehicle crash Thursday evening on Highway 30, near the Bottoms Up Tavern in Multnomah County. Preliminary investigation indicates a blue 2002 Toyota Camry operated by Natasha Melyn Carrillo, 26, of Vancouver, Washington, was entering Highway 30 from the Bottoms Up Tavern on Thursday, May 10, at approximately 7:40 p.m., according to information provided in an Oregon State Police press release. While executing a left turn to proceed eastbound on Highway 30, Carillo was struck by a white 2000 Ford F350 truck traveling westbound and driven by Kim V. Cox, 55, or Rainier. Oregon State Police from the St. Helens office responded to the scene. Carrillo sustained fatal injuries and was pronounced deceased at the scene by medical personnel, the press release states. Both occupants were wearing safety belts at the time of the crash, and it is undetermined if intoxicants are a contributing factor. Next of kin notification has been made. No additional information is available at this time. Oregon State Police was assisted by Multnomah County Sheriff's Office, Portland Fire and Rescue, Oregon Department of Transportation and Grumpy's Towing Co.